If you've used or read about the Unified Client, there are some notable omissions from the command bar. This is mostly because the unified client is being developed and enhanced still and I suspect that the effort is being focused on stability and performance (both of which are very good already). Advanced Find – Advanced Find has not been implemented yet in the UCI – but in the meantime, you can add the old Web UI advanced find to the UCI using my solution that I've already posted about. 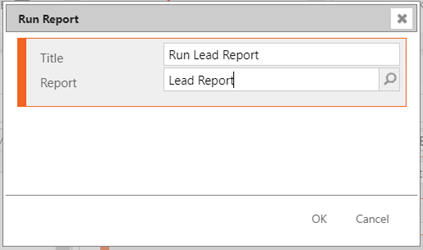 Run Report – as for Run Workflow in this post I'll show you how to add a run report button. Run Dialog – I am not entirely sure that Dialogs will ever make their way to the Unified Client because they are deprecated. When you start the Ribbon Workbench, it scans for any smart button enabled solutions and displays them in your toolbox. Smart Buttons are essentially small pre-defined templates that can be added to your ribbon customisations and are defined by a smart button manifest in an installed solution. You can read more about them in my post explaining Smart Buttons in more detail. Once you have installed the Ribbon Workbench, you can download and install my Smart Button Solution. 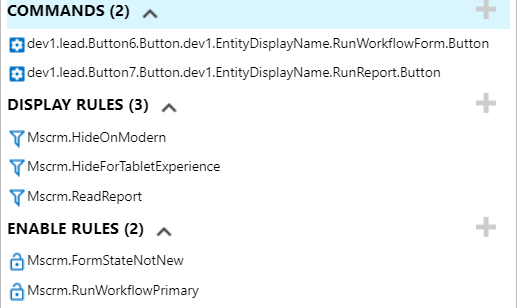 You can obviously define your own smart buttons – but my solution provides some of the most common buttons that customisations need – namely Run Report and Run Workflow. 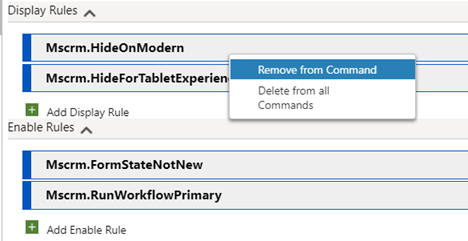 The key to showing the smart buttons in the Unified Client is the Enable and Display Rules. 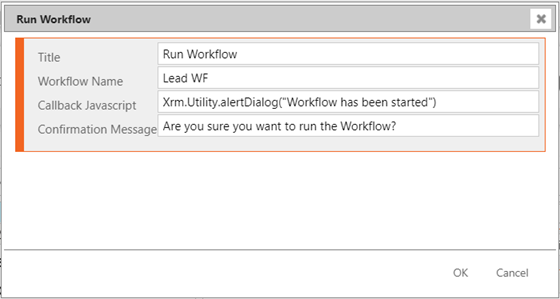 Currently, the Smart Button templates are set up for the Web UI – in the future, I will adapt these for the Unified Client, but during this transitional period it is up to you to decide if you want them to appear or not by managing which rules are included. You can then publish the solution and the buttons will appear in the UCI! You can also set some nice SVG images in the 'Modern Image' property of each button in the Ribbon Workbench by creating some SVG Webresources to use. Probably the biggest difference when developing on the UCI is that you need to take a mobile/tablet-centric approach to your customisations. Whilst the Run Workflow button will work on the Mobile/Tablet App – the Advanced Find and the Run Report buttons use a user interface that was never designed for this type of use and will only work when using the UCI via a web browser.